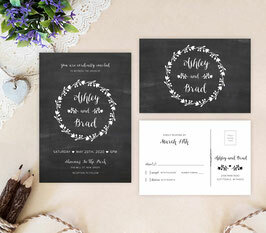 Our simple Black Wedding Invitations will inform your guests about your upcoming wedding. 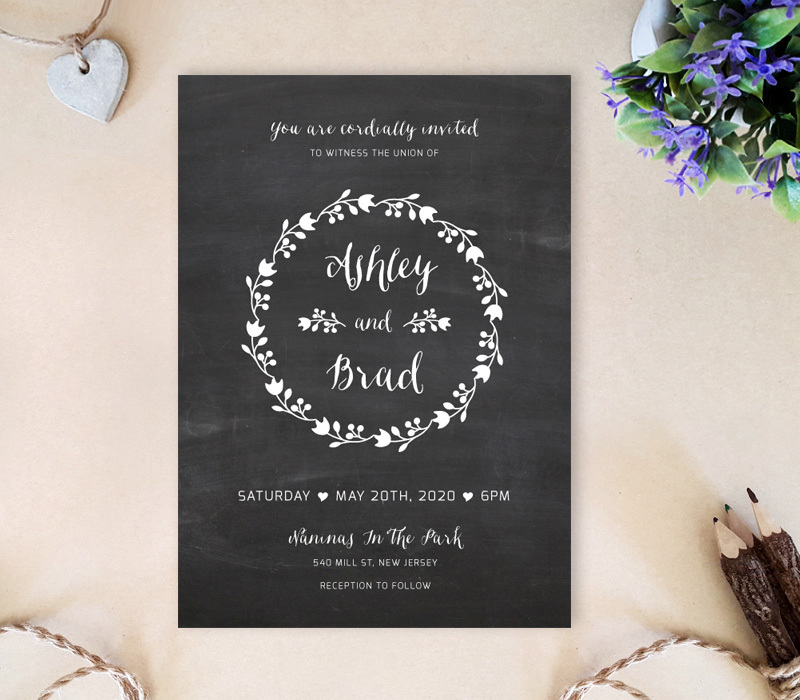 With a chalkboard background, our invitations showcase a elegant floral wreath along with your special wedding day information and names. 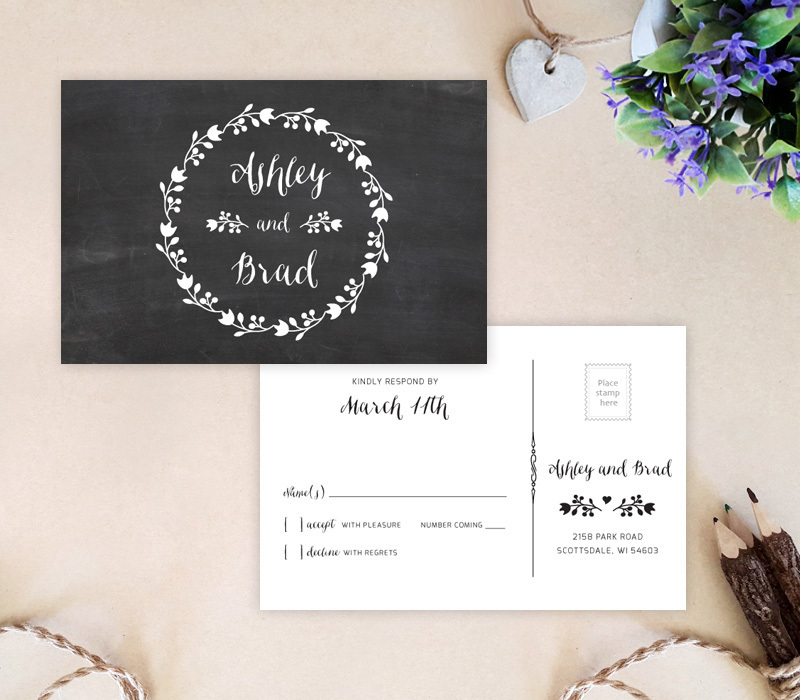 Our exclusively designed cards are printed on to premium paper for richer colors and sharper texts.